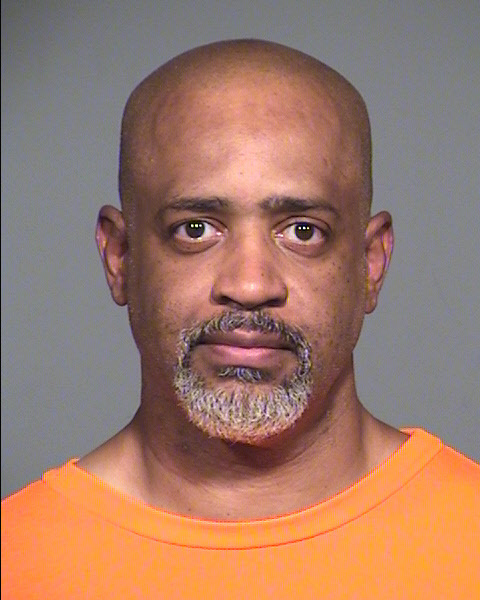 A man who killed a Phoenix pawn-shop owner while robbing his store in 2004 was sentenced to death by a Maricopa County Superior Court jury. Jahmari Manuel, who also goes by the name of Warren Carl Manuel, was caught on surveillance video when he shot Darrell Willeford in Willeford's store on Thomas Road and 35th Street on March 31, 2004. Jurors watched the tape and saw Manuel firing his gun as soon as he opened the door, then firing again into Willeford as he lay on the floor. Manuel then fled to North Carolina, where he was arrested in December 2004. Manuel was charged with first-degree murder, burglary, armed robbery and misconduct with weapons. On August 6, 2009, he was found guilty on all counts. On August 17, 2009, the jury determined that he had committed the murder for monetary gain, thus qualifying Manuel for the death penalty. Manuel was officially sentenced to death on September 23, 2009. Oral arguments are scheduled for the 8th of November. After a jury trial, Jahmari Manuel was convicted of first degree murder and other offenses related to the death of Darrell Willeford. The jury determined that Manuel should be sentenced to death for the murder. The Supreme Court affirmed Manuel's convictions and sentences, holding (1) the trial court did not err in denying Manuel's notice of change of judge because the notice was untimely under Ariz. R. Crim. P. 10.2(a); (2) the trial court did not err in denying Manuel's motion to suppress a pistol found in his hotel room when he was arrested because the officer discovered the gun in plain view; (3) Manuel did not show that certain remarks that the prosecutor made at trial caused prejudice sufficient to constitute fundamental error, and the instances of alleged misconduct did not warrant reversal when considered cumulatively; (4) the trial judge correctly answered a juror's question in the penalty phase; (5) the judge did not abuse her discretion in denying Manuel's motion for new trial; and (6) the jury did not abuse its discretion by determining that Manuel should be sentenced to death.